Early December is not when pine trees are supposed to candle. 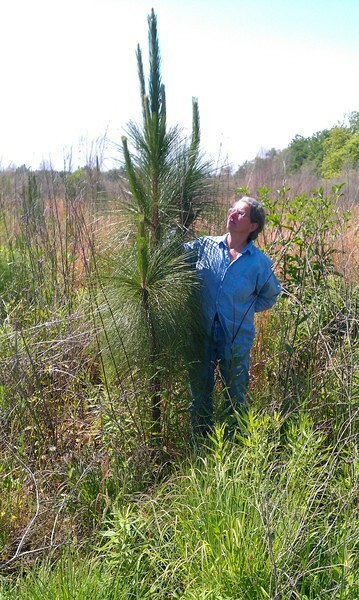 But this loblolly is just one of many that are producing new growth because it’s so warm. 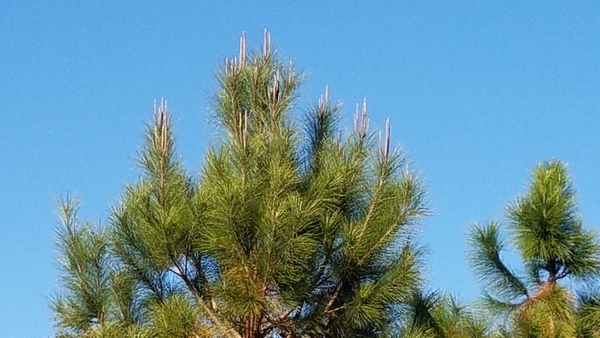 This entry was posted in Loblolly, Okra Paradise Farms and tagged bud, candling, Georgia, Gretchen Quarterman, John S. Quarterman, Loblolly, Lowndes County, new growth, Okra Paradise Farms, pine, Tree on December 3, 2017 by John S. Quarterman. Gretchen and I burned some woods the last couple days. 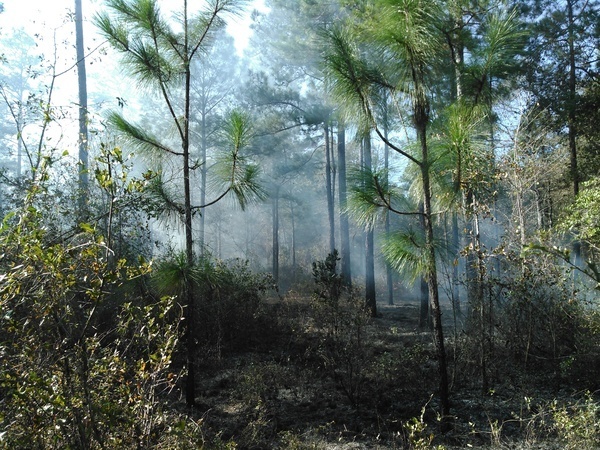 Here’s why we burn: longleaf pine unharmed, while small trees of other species (slash and loblolly pine, an especially oaks) are weeded out by the fire. 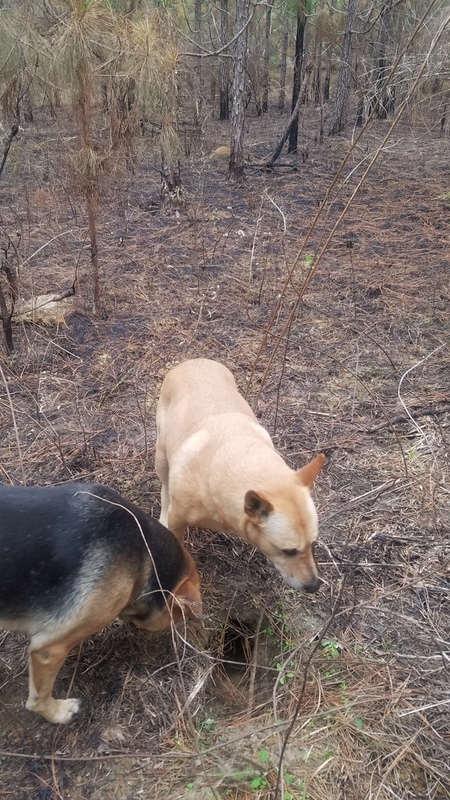 This entry was posted in Fire, Longleaf, Okra Paradise Farms and tagged Brown Dog, Fire, Georgia, Gretchen Quarterman, John S. Quarterman, Longleaf, Lowndes County, Okra Paradise Farms, pine, prescribed burn, Yellow Dog on December 5, 2015 by John S. Quarterman. Why solar power is the fastest growing industry in the world and how to apply it to agriculture. Financing is the main obstacle. Some ways to get financing, and at least one law that could be changed to help with that. 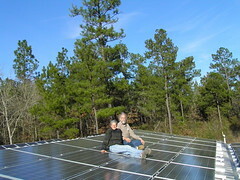 This entry was posted in Agriculture, History, Okra Paradise Farms, SOGALO14, Solar, Web/Tech and tagged Agriculture, Georgia, History, Internet, John S. Quarterman, kilowatts, Lowndes County, Okra Paradise Farms, pine, SOGALO14, Solar, Tree, Web/Tech on January 23, 2014 by John S. Quarterman. Pictures by John S. Quarterman for Okra Paradise Farms, Lowndes County, Georgia, 29 June 2012. This entry was posted in Birds, Okra Paradise Farms, Plants, Silviculture and tagged 29 June 2012, Birds, Brown Dog, Georgia, Gretchen Quarterman, John S. Quarterman, Lowndes County, oak, Okra Paradise Farms, pine, Plants, Silviculture, trees, Woodpecker, Yellow Dog on July 1, 2012 by John S. Quarterman. These are the same longleaf planted in 2008, blogged 10 October 2010, burned a second time 16 December 2011, and greening and candling again February 2012.
by John S. Quarterman for Okra Paradise Farms, Lowndes County, Georgia, 17 April 2012. This entry was posted in Gopher tortoise, Loblolly, Longleaf, Plants, Reptiles, Silviculture and tagged 17 April 2012, Georgia, Gretchen Quarterman, John S. Quarterman, Longleaf, Lowndes County, Okra Paradise Farms, pine, Pinus palustris, Tree on April 23, 2012 by John S. Quarterman. for Okra Paradise Farms, Lowndes County, Georgia, 22 April 2012. This entry was posted in Longleaf, Okra Paradise Farms, Plants, Silviculture, Slash and tagged 22 April 2012, Georgia, Gretchen Quarterman, Longleaf, Lowndes County, Okra Paradise Farms, pine, Pinus Eliotii, Pinus palustris, pond, Slash on April 23, 2012 by John S. Quarterman. This entry was posted in Botany, Dogs, Insects, Plants, Slash and tagged 11 April 2012, Brown Dog, Dogs, Georgia, Gretchen Quarterman, John S. Quarterman, Lowndes County, Okra Paradise Farms, pine, pine beetles, slash pine, Yellow Dog on April 11, 2012 by John S. Quarterman. 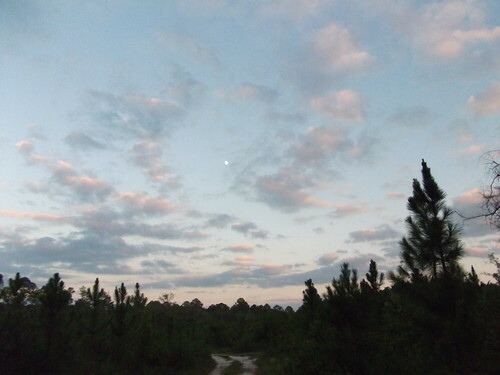 This entry was posted in Loblolly, Longleaf, Moon, Plants, Slash and tagged 8 September 2011, Georgia, John S. Quarterman, Loblolly, Longleaf, Lowndes County, moon, pine, Pinus elliottii, Pinus palustris, Pinus taeda, Slash on September 13, 2011 by John S. Quarterman. 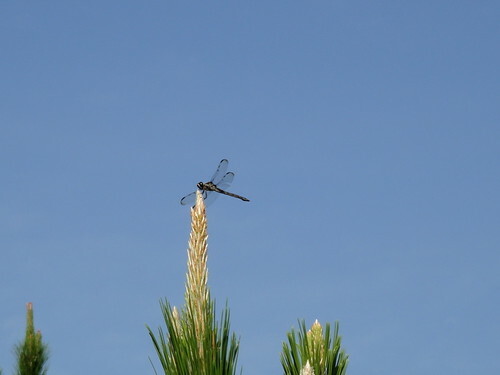 This entry was posted in Agriculture, Gardening, Insects, Longleaf and tagged 21 June 2011, dragonfly, Georgia, Gretchen Quarterman, John S. Quarterman, Longleaf, Lowndes County, Okra Paradise Farms, pine, Pinus palustris, skeeter hawk on July 1, 2011 by John S. Quarterman.